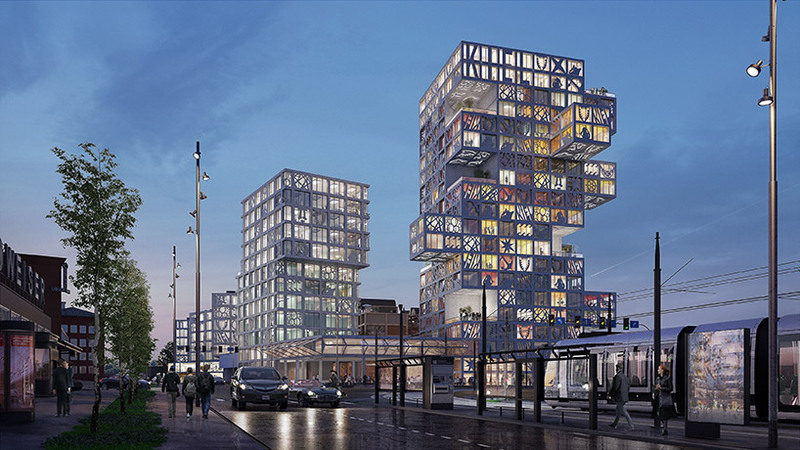 MVRDV was founded in 1993 by winy maas, jacob van rijs and nathalie de vries in rotterdam, the netherlands. the practice engages globally in providing solutions to contemporary architectural and urban issues. a highly collaborative, research-based design method involves clients, stakeholders and experts from a wide range of fields from early on in the creative process. the results are exemplary, outspoken projects, which enable our cities and landscapes to develop towards a better future. 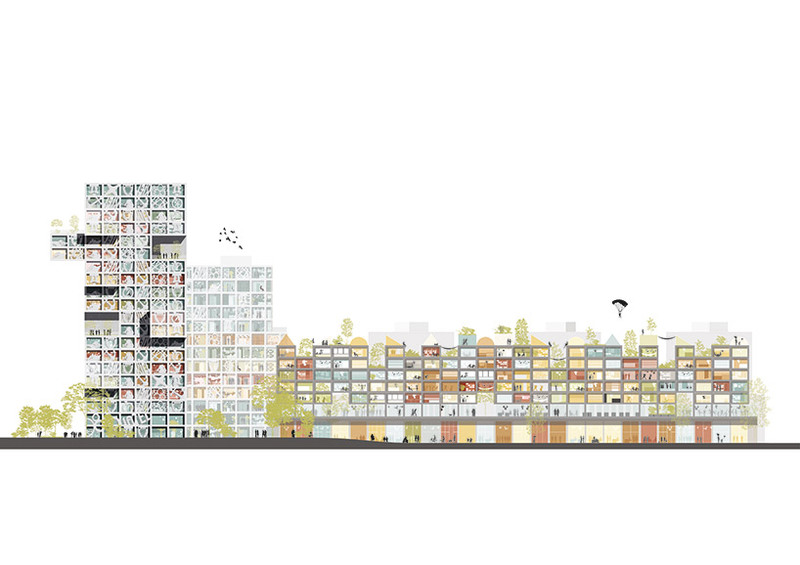 current projects include a variety of housing projects in the netherlands, france, china, india, and other countries; a community centre in copenhagen and a cultural complex in roskilde, denmark, a public art depot in rotterdam, the transformation of a mixed use building in central paris, an office complex in shanghai, and a commercial centre in beijing, and the renovation of an office building in hong kong. MVRDV is also working on large scale urban masterplans in bordeaux and caen, france and the masterplan for an eco-city in logroño, spain. 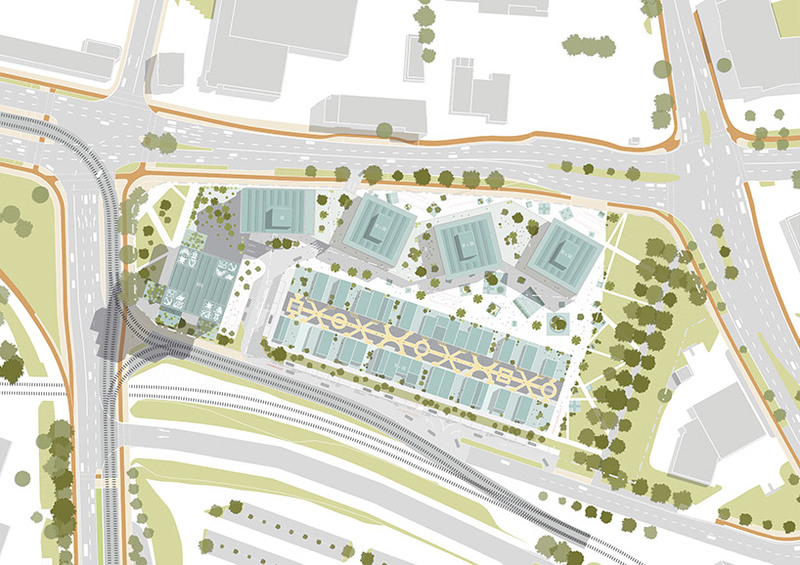 larger scale visions for the future of greater paris, greater oslo, and the doubling in size of the dutch new town almere are also in development. 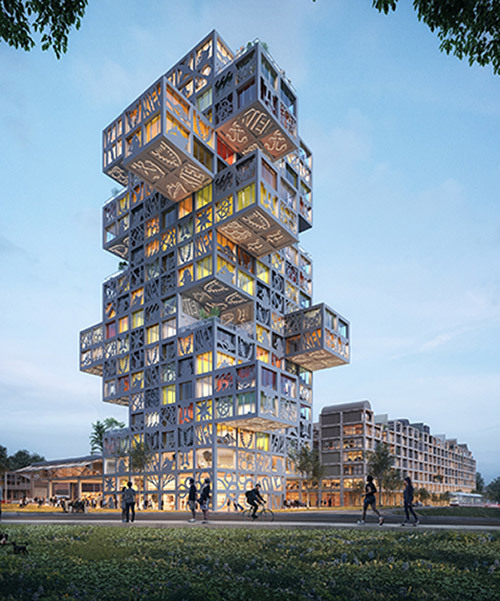 rotterdam-based architecture practice MVRDV has been selected as the designer of a 65,000-square-metre mixed-use complex in kiel, germany. dubbed koolkiel, the proposal will redevelop a post-industrial site with an impressive structure hosting a hotel, offices, residences, commercial space, and an event space. by using a flexible design system — rather than a fixed and unchangeable plan — the project adapts easily to the needs and desires of the community as its development progresses. currently occupied by a large, single-store building, the site has become notable in recent times for its connection to germany’s famous werner comics, which were printed in the building from the early 1980s. this building is now known as W8 medienzentrum and is home to a variety of companies working mostly in media and the creative industries. 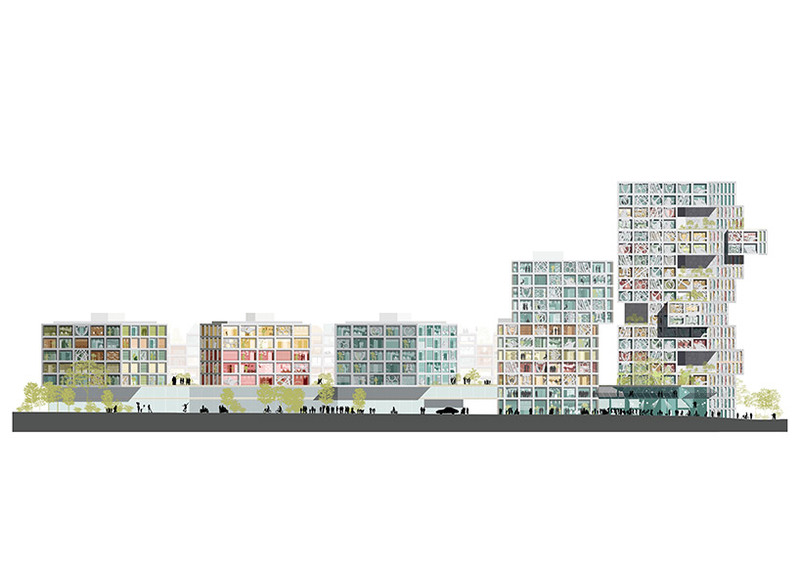 this has given the area a unique and charismatic identity, which strongly influenced MVRDV’s subsequent design. it’s because of this that koolkiel’s proposal calls to retain the existing structure as commercial units, topping it with apartments. 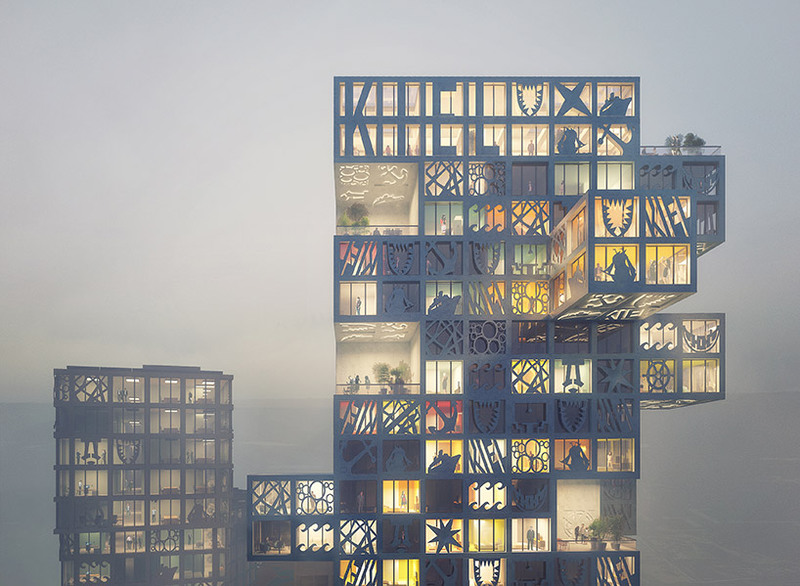 next to the preexisting building, the dutch practice has proposed a new building with a zigzagging plinth containing offices and shops, topped by several cubic blocks of housing, and a small tower of offices spaces. 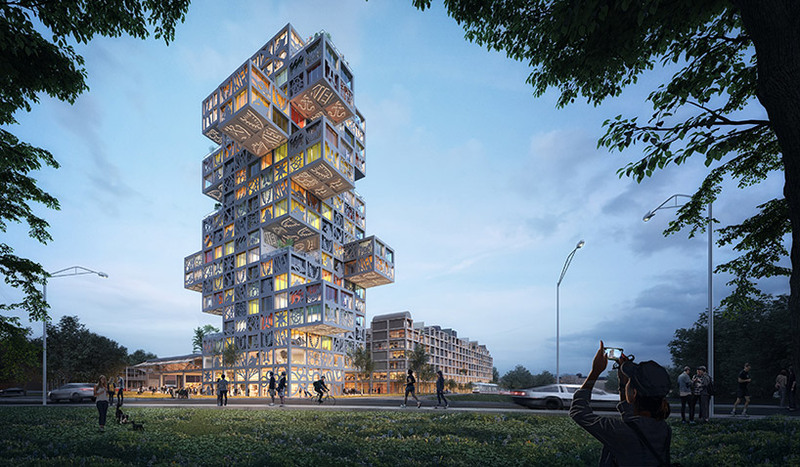 at the end of the site, a 250-room hotel tower connects to the before mentioned plinth through a public event space which will be used to host exhibitions and events organized by the community. the exterior spaces are key to the project, seeing a courtyard between the buildings filled with a variety of street furniture for the residents to occupy. a rooftop park snakes its way around the three cubic blocks of housing while the project’s most eye-catching element is the façade panels, made from fiber reinforced concrete, which sit in front of the window and display a variety of icons inspired by the creative output of the locals. by considering the design not as a fixed concept but as a flexible system, the building as it is eventually constructed might fall anywhere on a spectrum of options, from a conservative series of boxes to a wacky yet charismatic collection of cantilevers and iconography.